What is the benefit of spending your money, time, and energy building a website that nobody visits? The worst part of the story is that you miss potential visitors not only because your website is not attractive, but because it does not create a good experience for the user. Even with a good website structure and professional design, without the latest SEO (search engine optimisation) techniques, there is a very good chance that your prospects might not find you. One of the most rapidly growing SEO techniques that will surely improve user experience is voice search. 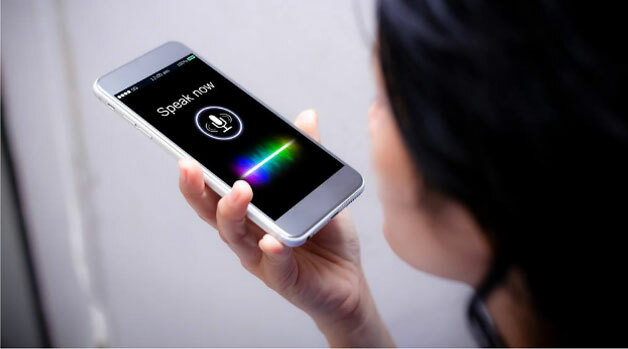 As voice technology becomes more prominent and competes with its text counterparts, it is becoming necessary to optimise your site for voice search. This is because more and more people are resorting to voice commands more than ever. In this comprehensive guide, I will share with you everything you need to know about optimising your website for audio search. So continue reading as we take this adventurous and winding journey of discovery. What is voice search optimisation? Before proceeding with our guide, it is important to define voice search optimisation. However, it is impossible to define the optimisation before defining voice search. Firstly we will start by defining voice search and then proceed in defining its optimisation. In brief, voice search is a search provision that allows users to search the Web using voice commands instead of text or typing. So, optimising your website for voice search means tuning it to a position and condition where users can find it using voice commands. It simply means that your website is compatible with effective voice command and searches. In our current setting, Google’s voice search and Apple’s Siri dominate the voice search market. The reason is that these two companies’ mobile operating systems—Android and iOS—dominate the smartphone market. They rule the search world since most internet users search and interact with it using their smartphones. Since we now have an understanding of this technology, we will now delve into how it works. From a technical perspective, it is not as complicated as it seems. However, it is almost as simple as typing searches in your browser. 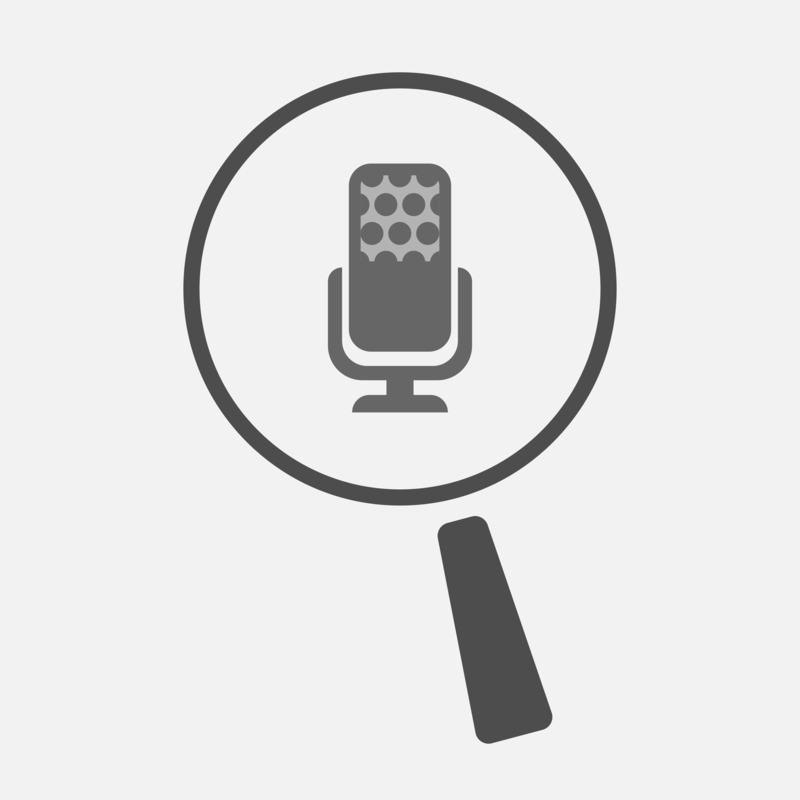 You only need to click on the microphone icon on the search bar to begin the search process. Afterward, you will need to wait for a few seconds before you start speaking and making your inquiries. Also, you have to ensure that your voice and pronunciation are clear enough for the microphone to capture it. The clarity of your voice is essential if you want to achieve accurate results since the system will give you what it “heard.” For instance, if you said “goat,” when you meant “coat,” you will receive results for “goat.” Also, you are bound to get better results if you use questions to query the system. Who uses voice search commands to search the Net? Once you know how to use the system, it is important to then understand who actually uses voice search. The main reason for this is that it will be easier for you to optimise your website for this technology. By knowing your target audience and searches, you will be better placed to anticipate their needs. In this subsection of our guide, we turn our attention to the core features of this search technique. Below are some of the cornerstone qualities of voice search. Another quality of voice search queries is that they are more local than their text counterparts. In one Internet Trends Report of 2016, it emerged that 22% of people utilise voice search when seeking local information. The reason is that most of them use their smartphones while on the move. Most of them use voice queries to search for things near them. Google’s report shows that these searches have increased by more than 130 percent. Moreover, this trend is anchored in mobile telephony technology and advancement. Lastly, voice search focuses on your users’ desire to get immediate results. It is needful to understand those voice searchers, irrespective of their age groups, utilise this technique to make calls and ask for directions. That is why when they search for services or goods, search engines will only direct them to the nearest businesses. For example, if a user queries about dental services near London, don’t expect the search engine to point them to your website when you are located in Tokyo. The first and one of the most visible differences between the two search methods is the length of queries. A voice search is usually longer than a traditional text search. The reason is that users are not struggling with typing words like they do with text searches. Instead, they are free to use as many words as possible because they are utilising hands -free voice commands. Ideally, an average voice search starts from seven words onwards. Inversely, text searches average between one to three words. When will the 2018 FIFA senior men World Cup Start? Who will win the 2018 FIFA senior men World Cup? Where will the 2018 FIFA senior men World Cup be? Who won the 2010 FIFA senior men World Cup in South Africa? Which team has won the 2010 FIFA senior men World Cup the most number of times? Another outstanding difference between these two search techniques is the geographical scope of their queries. For instance, voice searches are more local, at least 3 times more, than their traditional text ones. This means that you will need to localise your business with local extensions if you want it to appear top in searches. For example, if you are offering legal services in Nairobi, you need to find a way of adding that extension to your business details. Lastly, the difference lies in how people do their searches. For instance, the tone, word selection, and phrasing of these searches can differ. As an example, when users are using a voice search app, their queries are more likely to take the form of a question. Therefore, you should optimise your website to answer those questions by featuring the key question phrases such as “who, where, which, how, when, what, and why.” This means that you should be ready to anticipate the kind of questions your searchers will ask and prepare the relevant answers. Inversely, text queries take a different tone since they are most framed in machine language. So, what benefits does this technique offer for your business? In this section of our guide, we look at some of the key benefits of optimising your website for voice search. Here are some of the leading ones. Do you know of anyone that would be disappointed if they were ranking high in search results? If you answered “no” to this question, then that shows that you also understand the importance of ranking high in search results. Of course, if you are ranking high in search results, this brings you closer to the goals of your business—contacting and converting the visitor into a customer. Since most voice searchers require quick answers and solutions, they need a website that can offer them these answers. By offering them what they need ASAP, you can be sure that it will reduce bounce rates and increase your conversion chances. Besides, voice search can help your potential and current customers to get quick answers based on previous searches. Consequently, enhanced convenience means that users will find more reasons to keep coming to your website. With the above benefit in place, your website stands to gain more users and traffic. This means that you will have enough “raw materials to manufacture” customers since conversion ultimately depends on the availability of your prospects. With higher ranking and increased traffic, you can be sure of developing more customers. For instance, when people ask, “Where is the nearest drug store?” you stand to get new customers since they make such searches on demand. 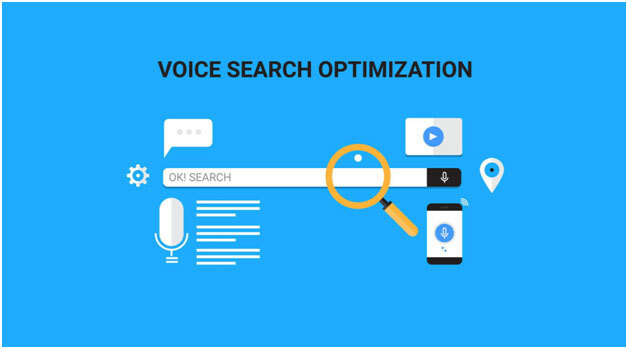 By optimising your website for voice search, you are bound to increase its authority before search engines and visitors. When your website becomes a source of voice answers to online visitors, it elevates its ranking as a high-authority site. By positioning your website as a source of voice answers, you allow visitors to see what other users say about it through reviews. This means that they have an extra platform for trusting your site, and hence, they are more likely to trust you. The last benefit of this technology for your website is that it makes it easier for people to search it. The reason is that most online searchers make their queries using mobile devices. The good side of this technology is that it is optimised for users on the go, which means, you will be better placed to reach users anywhere. Voice search does not happen in a vacuum. This means that you should pay attention to the major factors that influence it. In this section, we will examine the key factors that affect your website’s voice search SEO ranking. 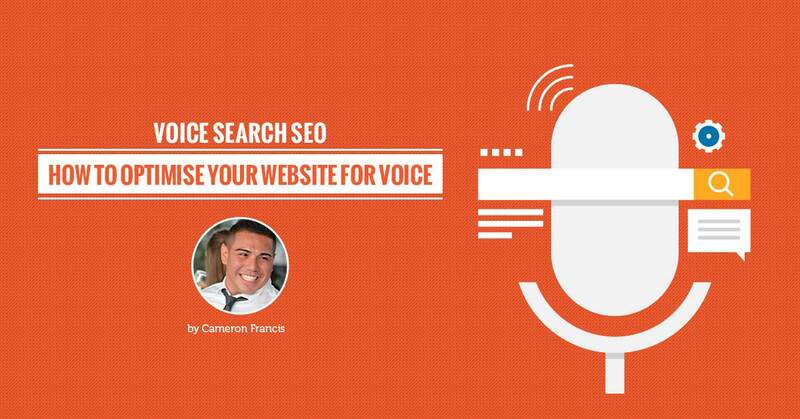 Your website’s page speed plays a significant role in your voice search SEO. For instance, an average search result page loads in 4.6 seconds, 52 percent faster than the average text page. Another factor that affects your site’s ranking is the length of the query. Even though voice searches are longer than text ones, they should not exceed a certain length. For instance, Google prefers 29 words as the maximum length. Your website’s domain authority and security also affects its voice search SEO ranking. The reason is that sites with a higher domain authority have more search results than those with a lower ranking. Also, site security affects ranking. For instance, sites with HTTPS rank higher since the presence of an SSL affects a site’s ranking in Google’s algorithms. Since voice searches are longer than text ones, the length of your searches affect your site’s SEO rankings. This means you will need to optimise target long-tail keywords. These keywords are more competitive and specific. Moreover, they account for at least 70 percent of all the search queries. This means that their competition is lower while their importance is higher. Also, such keywords are great tools for answering specific questions searchers have. The reason is that they are more conversational, and hence, they raise your site’s chances of higher ranking in search results. Moreover, they are cheaper to bid on and offer your website a higher click-through rate than shorter ones. Another factor that affects your website’s voice search SEO ranking is your language. Therefore, you should mind your language and craft your content in an appropriate language. By appropriate, I mean in a manner your readers can understand easily. Remember, the average Google search voice search result is composed in 9th grade level. So you need to be mindful of your content’s quality, length, and ease of reading. Otherwise, you could use the right phrasing but if your target readers have difficulties reading them, your ranking could suffer. In this age where the social side of the internet is king, your ranking efforts will suffer a heavy blow if you don’t optimise your site for the social media. The reason is that all these social networks are optimised for voice search. Therefore, you have nothing to lose by optimising your website for social sharing. Even in the wake of mobile searches ranking higher than desktop ones, you should never rule out the ranking of your site’s content on desktops, at least for now. The reason is that if your content ranks higher in desktop searches, they are more likely to appear in voice searches as answers. Therefore, don’t throw away your site’s rankings by forgetting that desktops are still here with us indefinitely. Lastly, you should remember that features snippets are another factor that will affect your rankings in voice search SEO. For instance, 40.7% of all voice search answers stem from featured snippets. Just as the mobile platform is giving desktops stiff competition, voice search is also giving traditional text searches the same chase. This means that voice is the preferred method of the future. Therefore, you should make efforts to optimize your website for this revolutionary phenomenon. In this section of our coverage, we will examine the best strategies for making your site voice search compliant. Your online visitors have a searching role while you role is one of research. In this game, it is crucial to research and understand what your searchers are asking before offering them answers. This means that you should engage in keyword research if you want to succeed in your optimisation. Since most voice searches are natural conversations using human language, you too should craft your content with the same tone in mind. This means that your contents should feature common question phrases such as why, where, how, which, and who. If you want to enrich your keyword research, it is beneficial to know what the people are asking. To do this, you can visit the people also ask box to get a feel of what they want to know. This box can give you valuable ideas of what you should include in your content. To succeed in your optimization bid, you need to create an FAQ page for your website. When creating this page, it is prudent to focus on conversational and long-tail keywords. Also, you need to draft your questions in a more natural manner the same way you would pose them to a friend. In the drafting process, it is also beneficial to expect direct visitor questions. For instance, you should discard traditional SEO phrases such as “the cheapest hotel in town.” Instead, you can focus on more direct ones such as, “Where can I get the best meal in this town at the most affordable price?” With such questions in mind, try offering quick and precise answers to these questions. Another way of optimising your website for search SEO ranking is using schema metadata. But what is schema? Simply put, a schema is a markup language that permits a webmaster and site owner to provide search engines with extra information about the information on your website. With proper schema, you help your readers to comprehend fully the meaning of your website’s content. This way, it becomes easier for search engines to decipher the information and enhance your website’s visibility. So far, we have already established that voice search leans more towards local queries. Therefore, you ought to focus your website on the “near me” searches. You need to do this irrespective of whether your searchers will use traditional or voice searches. This way, you are better placed to tap into the greater portion of the voice searches. Are you seeking to win Google’s “favor” in your optimisation bid? Then you should optimise location extensions. You can take advantage of Google’s AdWords location extensions to ensure that your ads will be visible to ready searchers. Also, it assists you in enabling your phone contacts, directions, and business address to be visible in your adverts. This way, your business stands to benefit more from “near me” searches. Do you still want to succeed in your optimisation bid? Then it is needful to optimise Local Search Ads in Google Maps. With this tool, you can reach the right people in the right locations and at the ideal time. Additionally, they can assist in driving more foot traffic to your physical outlet. Nothing will benefit your optimisation better and more than positive reviews. As votes of confidence, these reviews will assist you to rank higher in Google search. It is needful to have a minimum of five Google reviews because many people trust Google’s opinions. So, you can boost your chances by encouraging your happy clients to leave you positive reviews. If you hear any complaint or comment on your website, it is needful to respond to it redemptively by offering appropriate solutions. Where it is evident that you were wrong, it is advantageous to apologise because an honest apology is better than a clever explanation seeking to escape responsibility. To keep your optimisation drive on course, you have to claim and optimise your Google My Business listing. But how does it benefit your ranking efforts? When you claim and optimise this listing, Google gets more information about your business. For instance, it will discover the type of business you are in, your business’s address, phone contacts, and your business hours. This way, you will increase your business’s chances of appearing top in voice searches that relate to your local business, category, and location. This means you need to update these details whenever you make changes to them. Another way of optimising your website for voice search SEO ranking is optimising it for mobile voice searches. In this mobile age, you simply cannot ignore this critical aspect of the internet. The reason is that 65 percent of all online users use their mobile smart devices to access the internet. This means that if your website is not optimised for mobile devices, you are set to miss 65 percent of your potential visitors. Remember, conversions cannot take place without contact with the prospective users. For instance, Google is switching to its new indexing that places mobile friendliness first. This new development means that Google will be placing greater weight on mobile searches than it does on desktops. Additionally, it is needful to understand that voice searches are growing steadily. Why is it so? For many reasons, of course. First, it is easier and faster to use voice search compared to text search. For instance, an average person can type 40 words per minute. On the contrary, an average human can speak 150 words per minute. Second, they can do this hands-free while typing demands they engage their hands. Don’t also forget that you need greater attention and focus when typing than when speaking. For instance, typing requires your eyes while speaking doesn’t. This means it is easier to multitask while voice searching than typing. Third, a quick look at the figures shows that voice search is fast becoming the preferred search option of the present and future. For instance, Google’s voice search rose by 35 times in 2016 more than what it was in 2008. Moreover, Google is telling us that voice search will account for more than 50 percent of all online searches by the time we hit 2020. Does this spell doom for search screens and desktops? Of course, not. Saying so would be presumptuous since even if we had phones that are 100 times more powerful than desktops, computers still have advantages that smartphones cannot offer. For instance, the ability to work with a bigger working area remains an exclusive advantage of computers over smartphones and tablets/iPads. Remember, Google did not say that it intends to have a “mobile-only” indexing. Instead, Google said it is opting for “mobile-first” indexing model. Lastly, you can prepare your website for voice search by understanding where your voice queries come from. This means you should pay attention to the all age groups alike—the young, middle aged, and old. According to a survey that Thrive Analytics released, people from all age groups use voice searches. The only difference lies in why and how they use these searches. How Does Voice Search Impact Traditional SEO? As our comprehensive guide nears its end, it is needful to ask the right questions. Here, every tech-savvy website owner, marketer, or webpreneur should be asking themselves questions regarding voice search’s impact on conventional SEO. So, how does this revolutionary and disruptive development affect SEO today and tomorrow? In this closing section of our guide, we examine its impact on SEO, as currently constituted and as we move into the future. Since we already saw that voice search is more conversational than traditional SEO, we are going to see more quicker answers and actions. The reason is that this technique is based on direct questions that call for speedy answers intended to meet immediate needs. So, it you want to benefit from this occurrence, it is needful to act now and prioritise the updating and activation of your business listings and information. Also, voice search will affect how marketers and site owners research keywords. For instance, it is not necessary to research keywords that interest users based on multiple devices and platforms. The reason is that different voice search assistants use various platforms or search engines. For example, Amazon’s Alexa uses Bing while Apple’s Siri works on Google. This means that businesses that take this seriously will understand different voice queries more accurately. Consequently, they will enjoy greater ranking in search results. This will save marketers and businesses the regrettable pain of being disconnected from what their customers need and search for. This means that you will not waste your time focusing on keywords that your users are not searching in their voice queries. Additionally, the rise of voice search will affect the way people interact with and perceive semantics. The reason is that Google depends on various factors to deliver such results it thinks people are looking for. For example, it depends on users’ past searches and patterns. When it does things this way, the search is called semantic. Also, voice search will influence the way contents meets customer needs. This means that website owners and marketers will need to shift from the traditional mode of writing things just to rank high in search engine. The focus will shift in both tone and function to cater to the needs of the customer, and not just search engines. This means that you will stop stuffing your content with keywords that readers find irrelevant. Instead, your keywords will be based on what your customers need and are searching for. Consequently, you will need to sharpen your social antenna and listen to what people are saying more attentively. This means that what your customers are saying about your business should override what you want to tell them. Additionally, it will be necessary to ask your marketing and sales force about the type of questions your clients ask regarding your business and its products. Lastly, voice search will impact traditional SEO by making mobile friendliness a compulsory requirement. Remember, I already told you that Google is launching its mobile-first indexing that will place mobile searches above desktop ones. This means you will need to optimise your website to fit this mobile mode if you want to continue receiving organic traffic to your website. If your website does not look nice on mobile devices, then it is a high time you optimised it. Also, if your site takes ages to load on mobile devices, you have to deal with it early on. Otherwise, you may not survive the soon-coming “mobilegeddon” that is set to annihilate all websites that aren’t mobile-friendly. You should also pay attention to your website’s bounce rate or else you will lose your rankings in search engines. What more should I say? From definition, to how it works, and all the way to how voice search optimisation affects SEO, I have spilled all the beans. I hope that your eyes are now open to all you need to know about to optimising your website for voice search. The ball is now in your court to act on everything I have shared in this comprehensive guide to reap the full benefits of voice search optimisation.